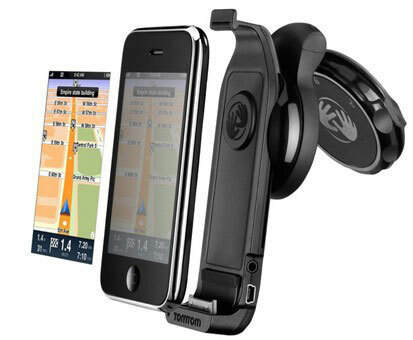 The TomTom iPhone Car Kit has been getting a lot of media play the last few days. It briefly appeared on the UK’s iTunes Store and then TomTom announced that it will be available there for EUR99.99. But until now the company hasn’t said squat about the retail price here in the good ol’ States. Amsterdam, 24 September 2009 –TomTom announces today that the TomTom car kit for the iPhone will have a recommended retail price of EUR 99.99 or USD 119.95. Kind of cold, eh? But at least all the deets are there. While the dock might be $119, that doesn’t including the $99 app. So for $219, you can either use your iPhone to navigate, or snag a dedicated, larger screen GPS unit. Personally, I would rather have the second option but that’s just me.